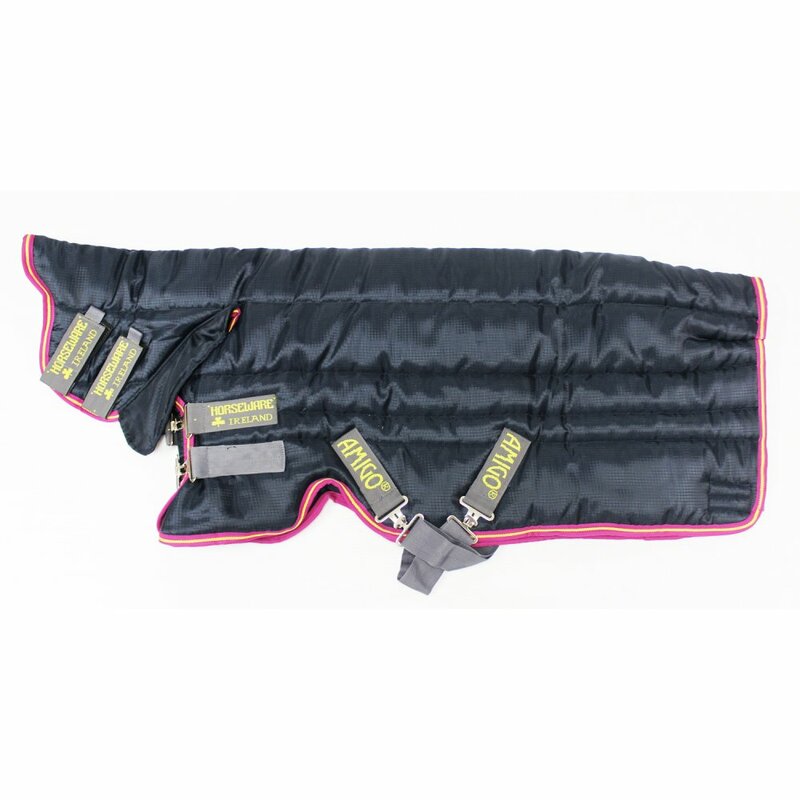 The Amigo Insulator All in One 350g Stable Rug will keep your horse cosy from ears to tail! This one piece Amigo Insulator has an integrated, seamless neck to ensure there are no draughts and no pressure areas. The integrated neck in this heavyweight stable rug also ensures there is 350g fill throughout the entire rug. This Amigo stable rug has a tough 210 denier polyester outer, as well as polyester lining to keep the horses coat smooth and comfortable.